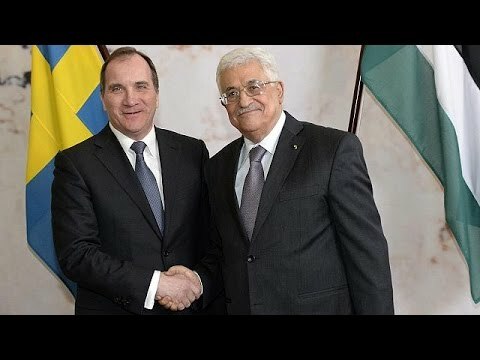 “The Palestinian President Mahmoud Abbas is in Sweden for talks with the country’s new Prime Minister Stefan Lofven. “The first-ever Palestinian embassy in Western Europe has opened in Sweden on Tuesday evening, the Swedish prime minister’s press service said. President Mahmoud Abbas has arrived in Stockholm for the event. “Your recognition…should push forward negotiations in the peace process,” Abbas said. “There are challenges: we must help one another to fight corruption, increase gender equality, improve respect for human rights, and of course continue the state building process,” Lofven said.